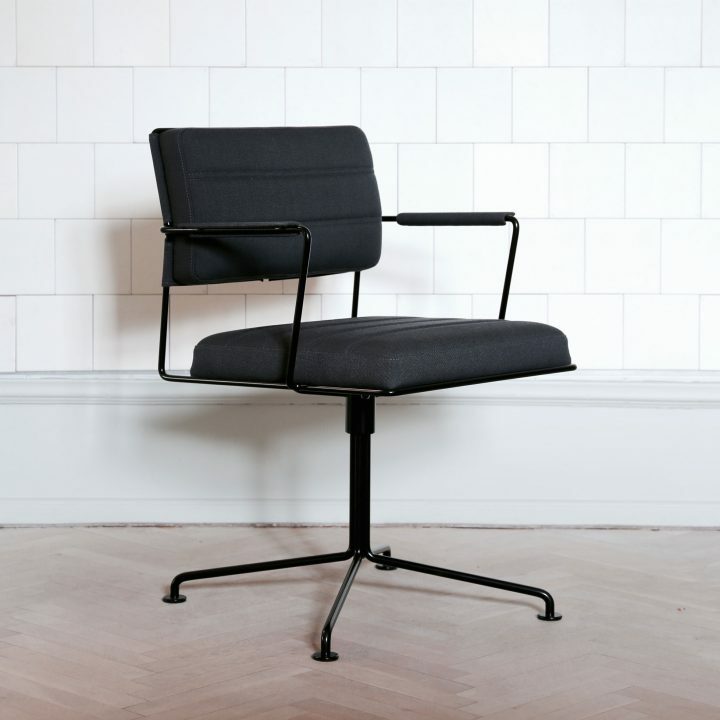 The Time Chair is a dynamic and comfortable conference chair designed by Henrik Tengler in 2012. The chair is purposely designed not to follow current trends. Instead its aesthetic resembles the cosmopolitan functionalism of the Bauhaus period. Henrik Tengler has achieved this by incorporating an open steel frame and adding rm cushions. 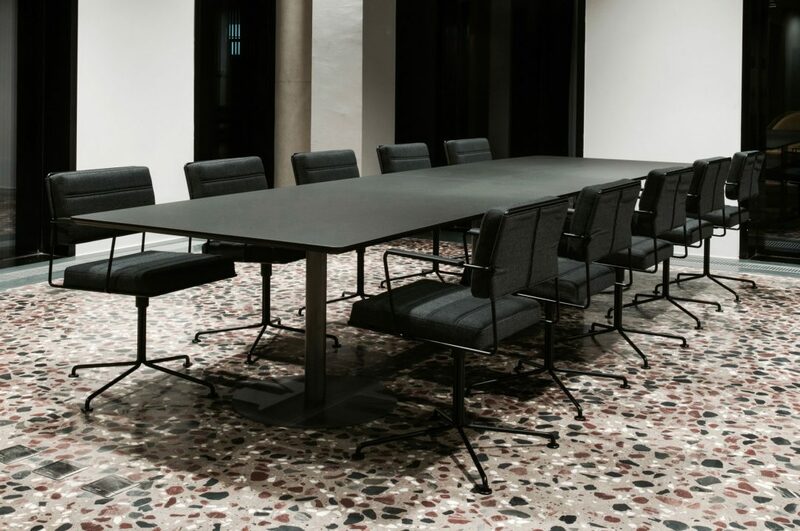 The 12 mm steel tube construction of the chair ensures unbeatable strength in spite of the delicate expression of the chair. Furthermore, the oversized cushions create a titillating exchange between the carrying and carried elements of the chair. Lastly, time and effort has gone into shaping every detail of the chair, giving it a highly exclusive feel. The chair allows for dynamic use and positions by responding to your movements. With clever features and ergonomic support, the Time Chair provides a high level of comfort throughout the day. The chair is available with a four-star base and swivel or a five-star base with castors, gas lift, swivel and tilt. 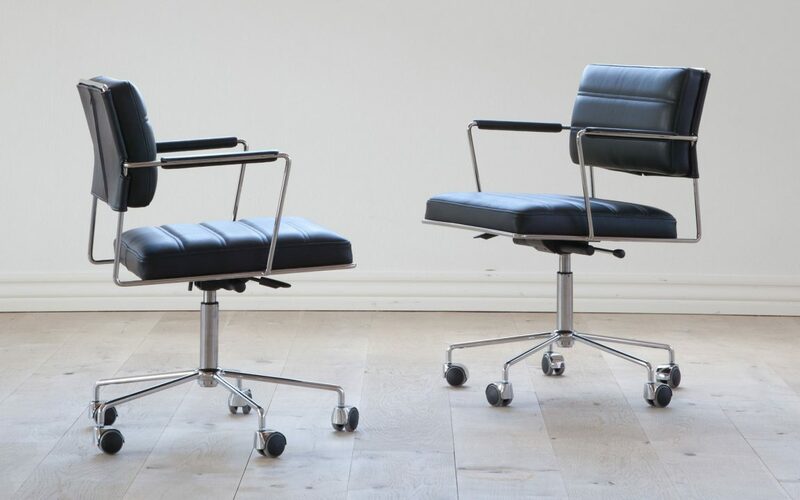 The frame comes in chrome or black painted steel with upholstery in fabric or leather. Chrome or black painted, 4-star frame with feet, incl. swivel. Chrome or black painted, 5-star frame with castors, incl. gas lift, swivel and tilt. Onecollection furniture is exclusively retailed through selected retailers.